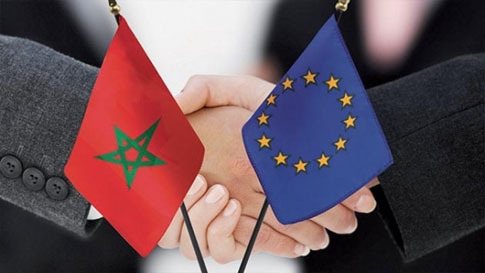 Brussels - Morocco and the European Union (EU) signed, on Monday in Brussels, the fisheries agreement that sets out the conditions of access for the European fleet and lays down the requirements for sustainable fishing. This agreement, which covers the fishing area from parallel 35 to parallel 22, namely from Cap Spartel in northern Morocco to Cap Blanc in southern Morocco, was signed by Fouad Yazough, ambassador director general for bilateral relations at the ministry of Foreign Affairs and International Cooperation, Romanian ambassador Odobescu Luminiţa Teodora, on behalf of the Romanian EU presidency and Aguiar Machado Joao, director general of the European Commission's Directorate General for Maritime Affairs, in the presence of Zakia Drouich, secretary general of the Maritime Fisheries Department. The fisheries agreement inked on 24 July in Rabat strengthens the multidimensional strategic partnership between Morocco and the EU. It specifies, among other things, the fishing areas and access conditions for the European fleet, with an increase in the financial contribution from an annual average of �40.0 million to �52.2 million (+30%). The agreement also includes provisions aimed at maximizing the benefits and advantages for local populations in the areas concerned. Furthermore, in order to preserve the sustainability of fisheries resources and protect the marine environment, technical requirements have been incorporated into this agreement, which will then have to be approved by the relevant committees of the European Parliament before its final adoption in plenary.